We’ve come a long way since the days when everybody played Snake on their Nokia phone. It became hugely successful for the Finnish mobile maker, ending up on 350 million devices worldwide. Nowadays people download highly sophisticated games from the app stores, and although most are cheap to buy, often free, publishers make a considerable amount of revenue from in-app purchases. 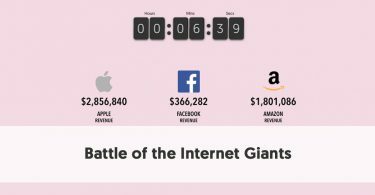 But just how big is the mobile gaming industry? We’ve collated a selection of recent mobile gaming statistics. Mobile games still suffer some limitations compare to PC and console games. They tend to be smaller in scale and must work within the devices’ storage and memory limits. However, they are substantially more sophisticated than the games of the past, with better graphics and performance than many past consoles and even arcade machines. Many developers have taken advantage of the fact that these games are mobile and used localization technology like GPS to make their games genuinely location-based. This means that games are possible on mobile games that would be impossible on a PC or a console tethered to a TV. There was a slight check to the mobile gaming market late in 2018, mainly due to a slowdown in industry growth in China. This is due to a deliberate decision by the Chinese government to reduce the time Chinese youth spend playing games. Many of the mobile gaming industry statistics shown here, particularly the predictions, reflect this blip in the rise of mobile gaming. 2. Gaming Expected to be Worth More than $174 billion by 2021. 15. Mobile Phone Gamers in the USA is Increasing Steadily Each Year and Should Exceed 210 Million in 2020. 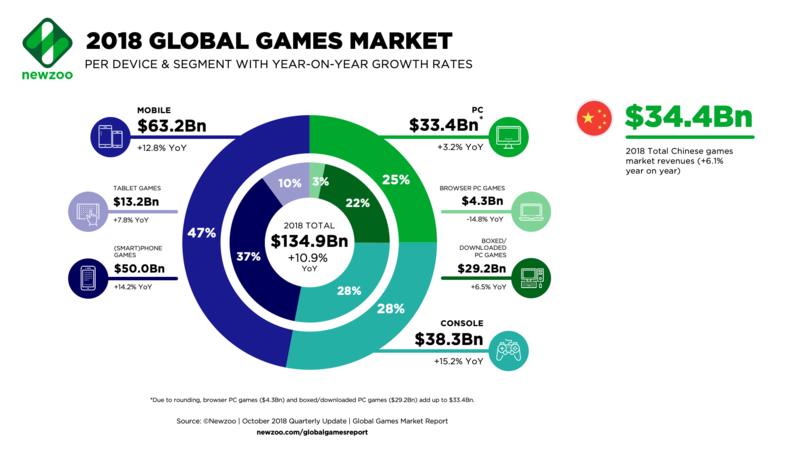 According to revised Newzoo research, the global games market was predicted to be worth $134.9 billion in 2018. The largest sector of this was mobile gaming which was estimated to be worth $63.2 billion, 47% of the global games market. This is a downwards revision of Newzoo’s original predictions, due to the regulatory changes in China combined with a current lack of new global blockbusters. Smartphone games were expected to account for $50.0 billion of this, while tablet games, would account for the remainder $13.2 billion revenue. While most gaming talk focuses on console games, which performed better than expected in 2018), they were still expected to only earn $38.3 billion, much less than that of mobile gaming. Newzoo continued their gaming revenue predictions through to 2021 (again revised in October 2018). By 2021 they expect total gaming to be worth $174.0 billion. They expect mobile gaming to continue to grow, reaching $91.2 billion in 2021, with 43% of the market smartphone gaming and a further 9% tablet. Another Newzoo prediction revised in October 2018, is that 49% ($66.2 billion) of the 2018 global games spending would occur in the Asia-Pacific region, up 8.3% year on year. North America accounts for 25% of the market, $33.9 billion. Although this data doesn’t separate mobile games spending from other types of games, we know that mobile gaming is 47% of all gaming spending, so mobile spending must be approximately $31.1 billion in Asia-Pacific and $15.9 billion in North America. Newzoo predicts that total game spending in China in 2018 would be $34.4 billion, 25% of worldwide spending. In comparison, the US spent $31.5 billion. A recent report from Activision Blizzard Media and Newzoo, Betting on Billions: Unlocking the Power of Mobile Gamers, predicts that 2.4 billion people around the world will play a mobile game in 2019. The Betting on Billions report found that gaming was the third most popular app type, together with music. Half app users have opened a gaming app in the last week. The most popular kind of app, by far, is social media, followed by shopping apps. 50% of mobile app users play games (and the same percentage of music apps). It is the second most popular type of app for 18-20-year-olds, with 2/3 having played a game in the last seven days. 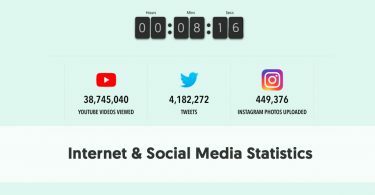 eMarketer’s Mobile Spent 2018 report found that apps account for over 90% of internet time on smartphones and 77% of internet time on tablets. But the time spent on the apps is unequal. Nearly half of app time occurs in an individual’s top app, and 90% in the top five. This would include games for many people. eMarketer’s report conflicts with the Betting on Billions report in that it says that digital audio is the top app genre, ahead of social networks. eMarketer still ranks gaming in its top five apps, however. According to Newzoo’s revised predictions, the $63.2 billion games app revenues in 2018 will have been 76% of all app revenues, leaving just $23.9 billion (27%) for non-gaming apps. Although they expect the dollar values of mobile game apps to increase by 2021 (to $91.2 billion) these will only make up 71% of total app revenue, with non-gaming apps rising to 29%. The Betting on Billions report shows that unlike console or PC gaming, there are little noticeable differences between the genders when it comes to the numbers participating in mobile gaming. 51% of all mobile gamers are women and 49% men. While the report found that as many females as males play mobile games, there are significant differences in the types of game they play. Young males prefer shooter games. Older females prefer puzzle games. 63% of those who play action/adventure games are men (and 52% are aged 21-35). This effect is even more pronounced with shooters – 74% men and 54% aged 21-25. With puzzle games, only 34% of the players are men, and 39% are aged 36-50 (with a further 21% aged 51-65). Betting on Billions found that more people played their games (and shopped) on mobile apps in the evening than at other times. 18-20-year-olds begin their daily game-playing earlier, with 30% opening gaming apps in the afternoon. Candy Crush Saga may have been around for five years now, but Betting on Billions found that 35% of mobile gamers still play it, nearly double the second most popular game (Pokémon GO). Fortnite is currently in the third spot, proving that it is not just on consoles that Fortnite has mesmerized the younger generations. Candy Crush is particularly popular in France, with 41% of mobile gamers still playing it daily. Statista shows slightly different results when focusing on daily app revenue (and limited to the iPhone in the USA). 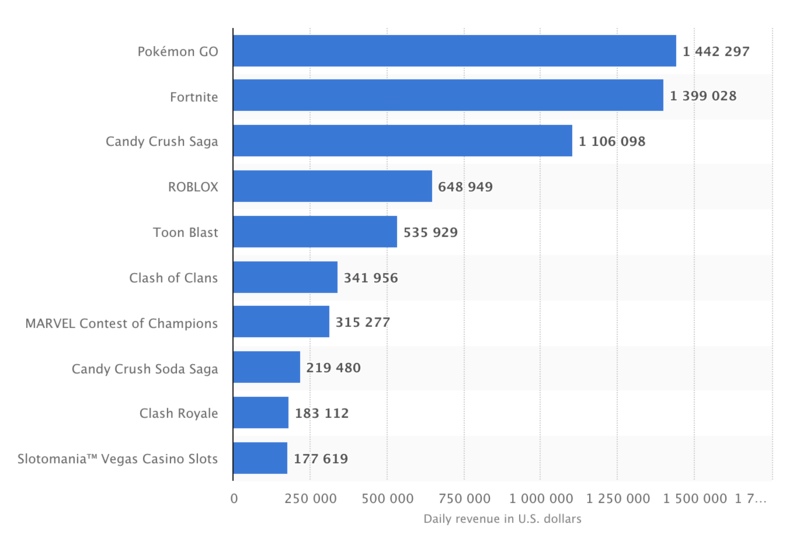 They find the top grossing iPhone mobile gaming apps in the United States as of December 2018 to be Pokémon GO (earning $1,442,297 daily), followed by Fortnite ($1,399,028) and Candy Crush Saga ($1,106,098). According to Statista data, the average American spent $77.60 on mobile games in 2016, up from $70.44 in 2015 and $60.95 in 2014. Unfortunately, Statista doesn’t have any more recent data available, to show whether this upward trend has continued. Statista has also released data on the number of mobile phone gamers in the United States from 2011 to 2020 (predictions from 2016 onwards). There were 80.7 million US mobile gamers in 2011, rising each year after that. It reached 164.9 million in 2015. 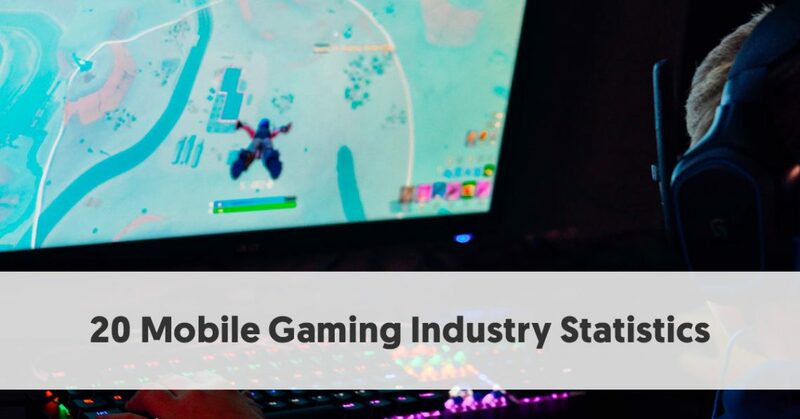 Statista predicts that there will be 209.5 million US mobile gamers in 2019, increasing to 213 million in 2020. 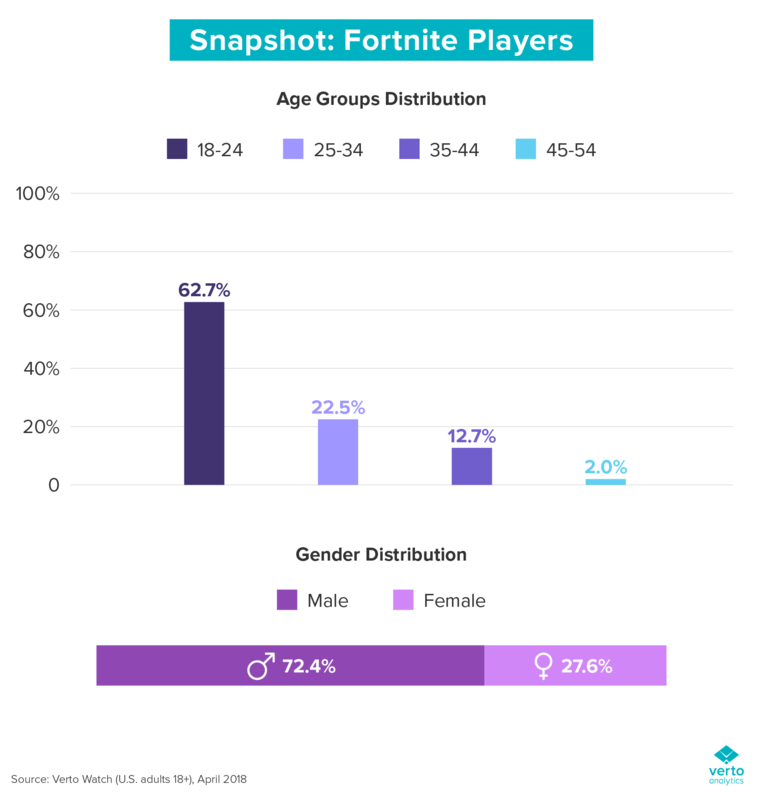 According to Business of Apps, 63% of iOS Fortnite players are aged 18-24, with a further 23% aged 25-34. This does, however, ignore under 18s who play the game on their iOS mobile device. Only 28% of iOS Fortnite gamers are female, with the majority (72%) being male. Apptopia estimates Fortnite surpassed the 100 million download mark after being on the iOS market for less than five months, just 138 days. However, the quickest game to reach 100 million iOS downloads was Super Mario Run which reached that milestone in a mere 68 days. 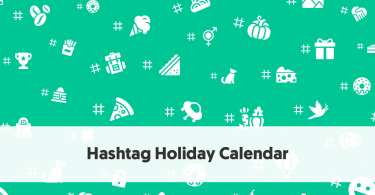 While Helix Jump may not have the recognizable name of Candy Crush Saga or Fortnite, according to Apptopia stats, it was the most downloaded game of 2018, with 334 million downloads. Subway Surfers came second, followed by PUBG Mobile, Fortnite, Rise Up and in sixth place, Candy Crush Saga. According to data collected for The Betting on Billions report, mobile gamers have more influence on the purchasing decisions of their friends, family, and colleagues than non-gamers. It found that 66% of gamers (vs. 53% of non-gamers) influenced the purchasing decisions of their family, 43% (gamers) vs. 35% (non-gamers) influenced their friends, and 37% gamers (vs. 29% non-gamers) influenced their colleagues. The top areas of influencing family purchasing decisions were groceries, dining out, and entertainment subscriptions. Perhaps unsurprisingly, considering the main demographics of Candy Crush players (predominantly female and older), across all household purchases, 53% of Candy Crush gamers are the primary decision-makers vs.45% for all gamers. They are particularly influential for decisions relating to purchases of groceries, clothing, homeware, and personal care.